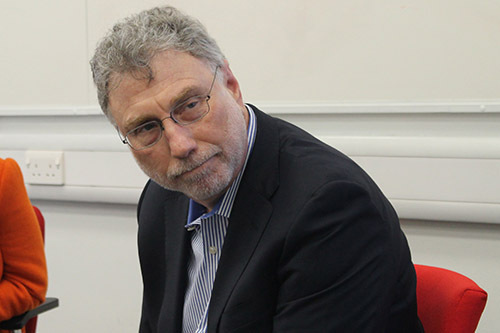 Marty Baron, the executive editor of The Washington Post, has visited City to speak to journalism students. 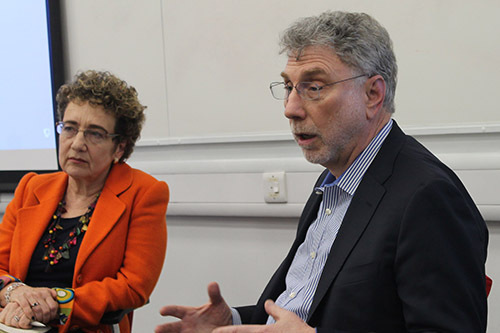 The legendary journalist, who was formerly editor of The Boston Globe, took part in a Q&A led by Professor Suzanne Franks. Baron gave fascinating insights on a wide range of subjects, from the challenges of covering the presidency of Donald Trump to The Washington Post’s strategy in the digital age. He also discussed The Boston Globe’s famous investigation into the Catholic Church’s cover-up of child abuse by priests in Boston, which earned the paper a Pulitzer Prize and was the subject of the Oscar-winning film Spotlight. Baron described the investigation as “the most meaningful thing I have ever worked on”. Explaining The Washington Post’s approach under its owner Jeff Bezos, Baron said the paper’s goal was to “be riveting, be right, and ask people to pay”.